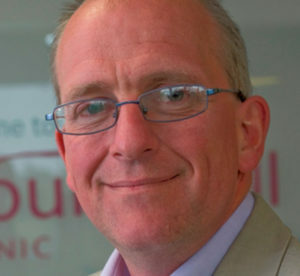 “Gifting fertility treatment in exchange for the donation of high-quality sperm was suggested by a patient and we thought it was a wonderful idea,” explains Martyn Blayney, Head of Science at Bourn Hall about an innovative way that sperm and egg donors are being recruited. For many years, Bourn Hall has offered free IVF treatment to couples or individuals undergoing treatment who are prepared to sperm or egg share and altruistic donors have been reimbursed for expenses in line with Government guidelines. Martyn explains: “We talked to one of our patients about sperm donation after his successful IVF treatment. In the video opposite, Martyn is seen in the embryology lab at Bourn Hall, where he explains the process involved in sperm donation and the importance of testing. Sperm and egg sharing and gifting have been introduced to ensure that Bourn Hall does not suffer from the national shortage and has well-stocked “banks” with a diversity of donors. “Strict regulations surround the collection and use of donor gametes in HFEA licensed centres, therefore, our patients are assured that the donors are comprehensively screened,” he added. There is also important documentation to ensure the legal rights of parents which a licensed clinic, like Bourn Hall, will ensure is in place. Sperm donation is confidential, but donors are not anonymous. Donor sperm recipients are entitled to receive non-identifying information. Details of the donor are available on request to a resulting child when he or she turns 18. The donor has no legal, financial or moral obligation to the child. ”There is a national shortage of donated sperm, as well as donated eggs, so we would encourage everyone to consider donation if they are in a position to do so,” Martyn added.